Born in 1950 in the Republic of Sakha (Yakutia). In 1974 graduated Yakutsk financial-credit college, in 1982 - Irkutsk Institute of National Economy. From 1991 to October 1997 has been worked in the Finance Ministry as Deputy Minister and Minister of Finance of Sakha (Yakutia) government. From November 1993 to January 1995 - Deputy Chairman of the Government of the Republic of Sakha (Yakutia), the Minister of Finance. In 1998-2002 - deputy chairman of Mak-Bank JSC Alrosa ", Director General JSC Vostok-Capital. Vladimir Ilyich Ptitsyn has a Master's degree in the Economics and Finance. He is one of the first reformers of the economic system in the republic, the initiator of the transition to market relations in the economy, introducing new approaches to budgeting. Currently, one of the most respected economists and business executives of Yakutia, the head of the administration of Megino-Kangalassky ulus - the largest district of the republic. Married. Has three children, and a grandchild. 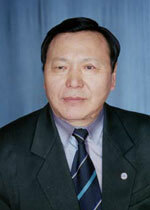 In the years 1993-2006 — The President of the Draughts Federation of the Sakha Republic (Yakutia). 1995-1997 — The President of the Russian Draughts Federation. 2000-2002 - President of the Asian Draughts Confederation. From October 2005 to December 2009 - President of the World Draughts Federation. High achievements of yakutian draughts players on Russian and international levels are also the results of his productive work. The republic has five grandmasters. They are: Alexander Azarov, six-times world champion Gavril Kolesov, double world champion Nikolai Struchkov, European champion Ivan Tokusarov, Alexandra Burnasheva. There are a lot of hopes cherished with young talented generation of yakutian players, seriously declared themselves at the international level. 1994 - World Championship, Russian checkers (according to MARSH). 1995 - Quarterfinal of the match contenders for the title of world champion between A. Baljakin and A. Shvartsman. 1996 - The Wordd champion title match between G. Valneris (Latvia) and A. Chizhov (Russia). 1999, 2007 — Women World Championships. 2002 - Qualifying tournament for the world champion title match. In 1998-2005 - International tournaments for Ptitsyn's prizes with the participation of the strongest players. 1996, 2000, 2004, with the support of the International Olympic Committee in Yakutsk have been organized international sports games named "The Children of Asia" with international draughts included in a shedule.